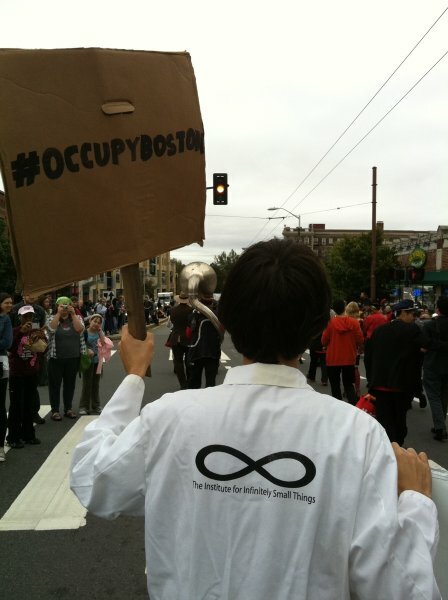 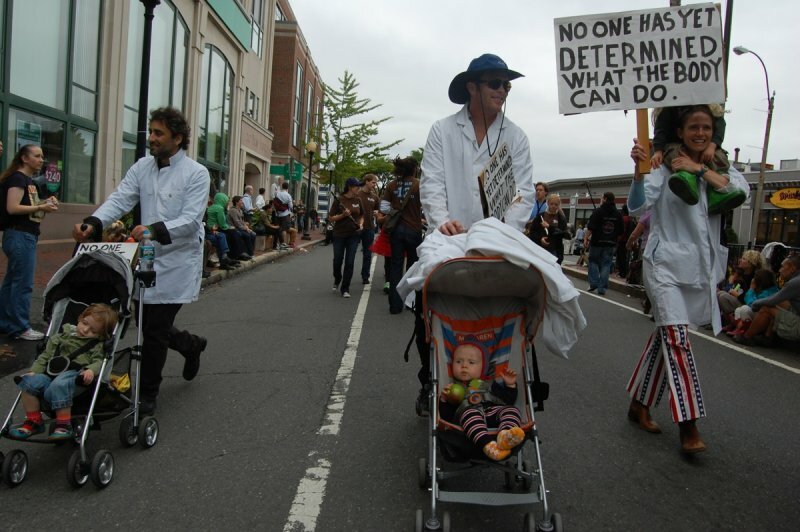 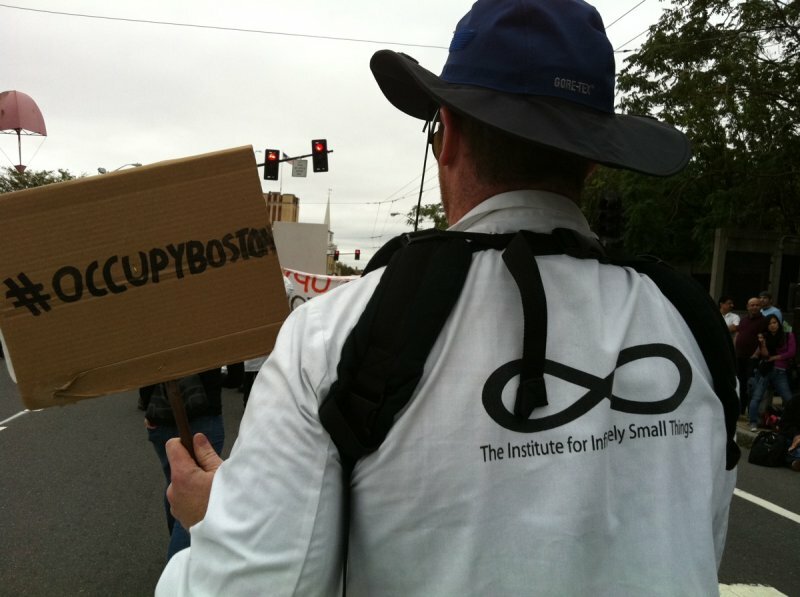 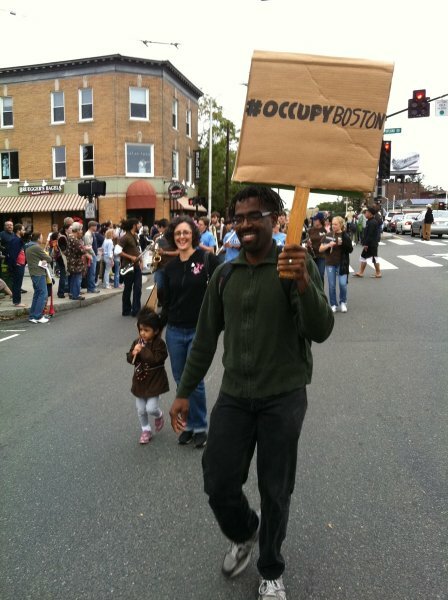 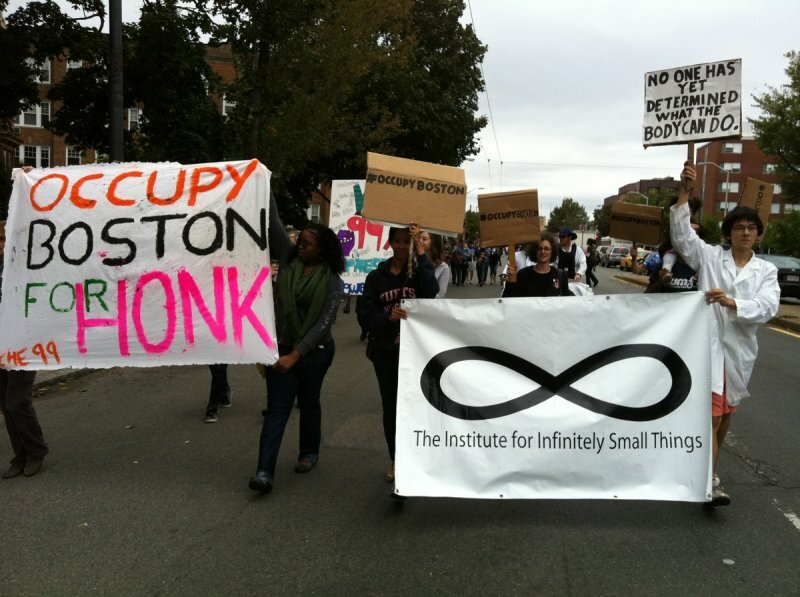 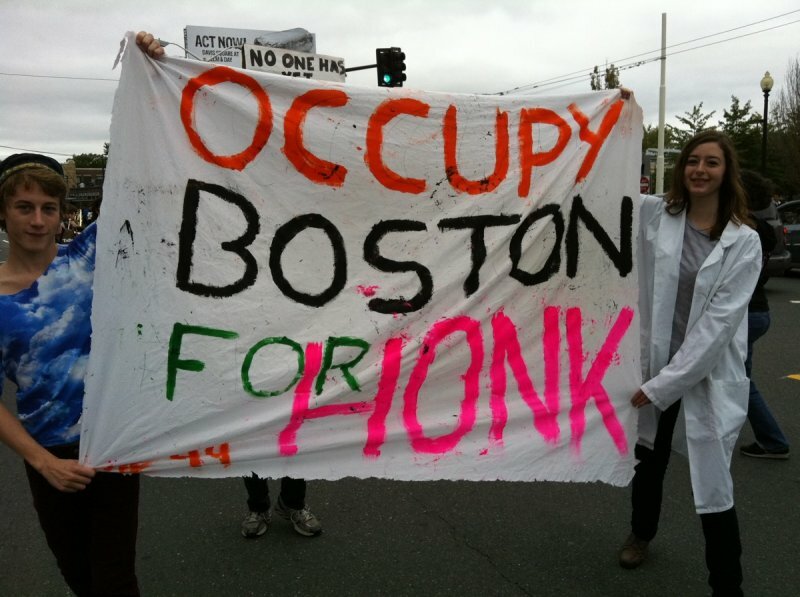 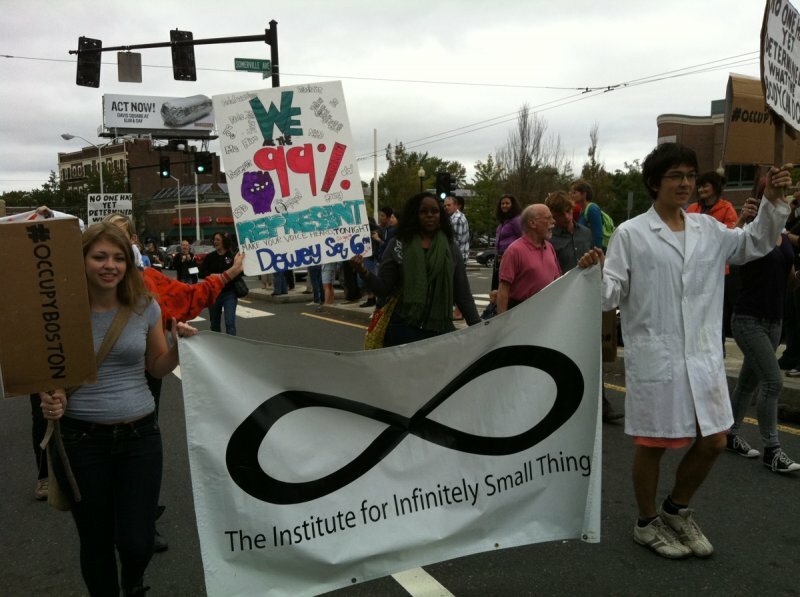 On Sunday, October 1 2011 the Institute joined with Occupy Boston in the 6th HONK! 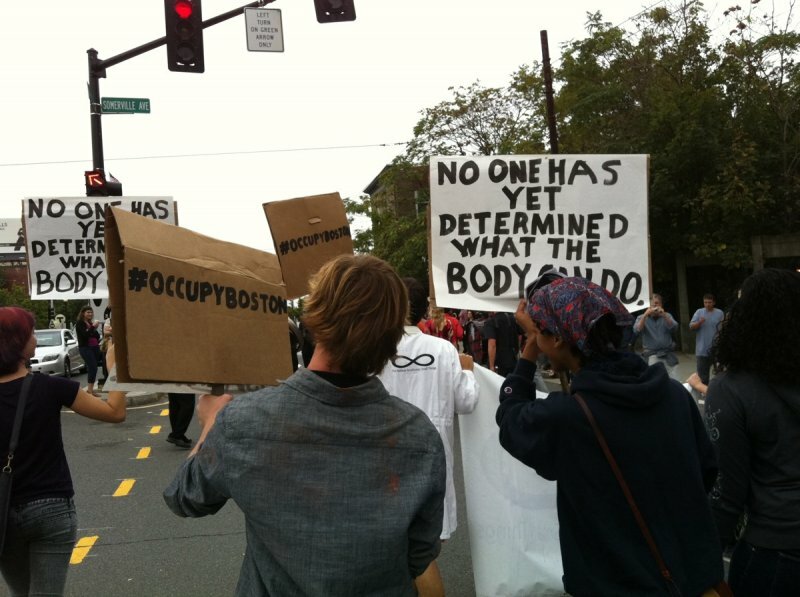 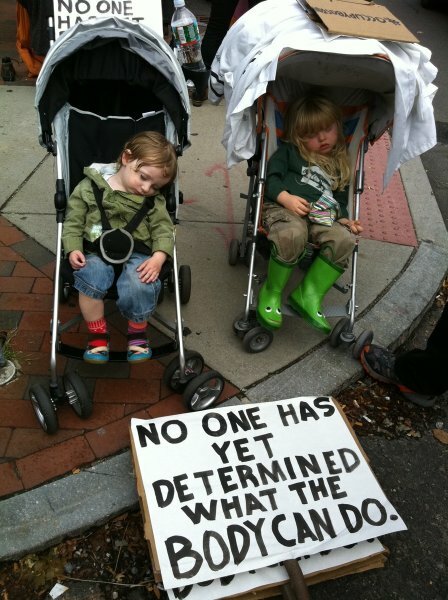 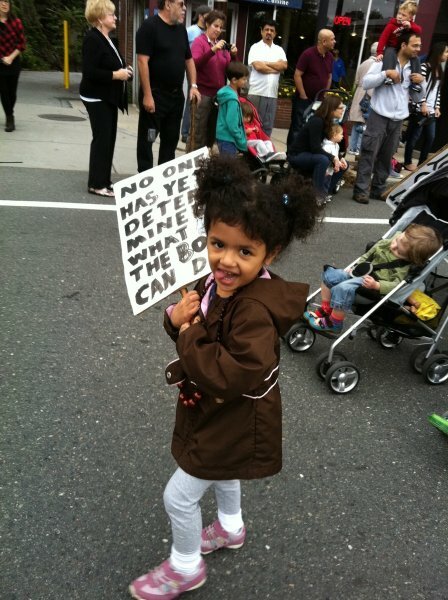 Parade to carry signs with two messages: “NO ONE HAS YET DETERMINED WHAT THE BODY CAN DO” and “#OCCUPYBOSTON”. 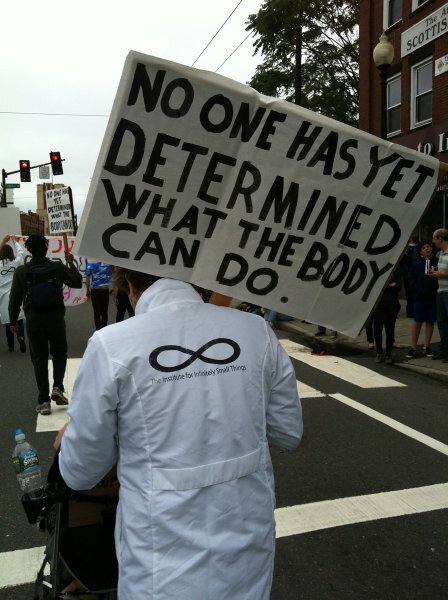 The former is a quote from the philosopher Spinoza. 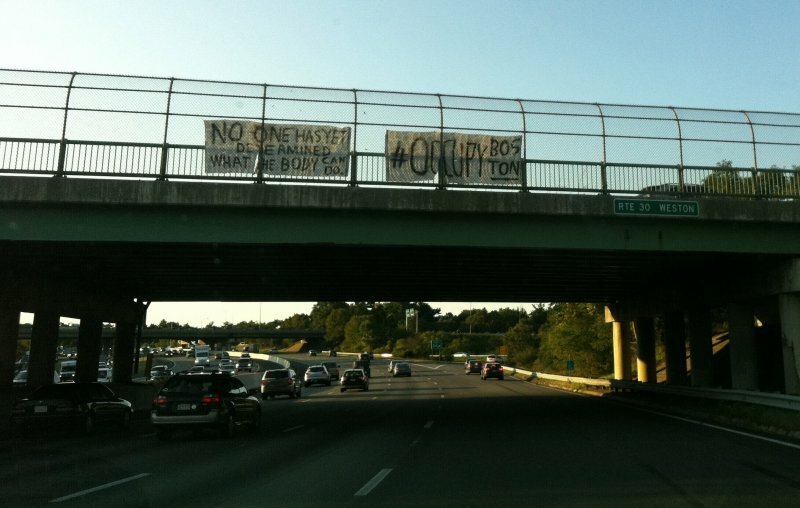 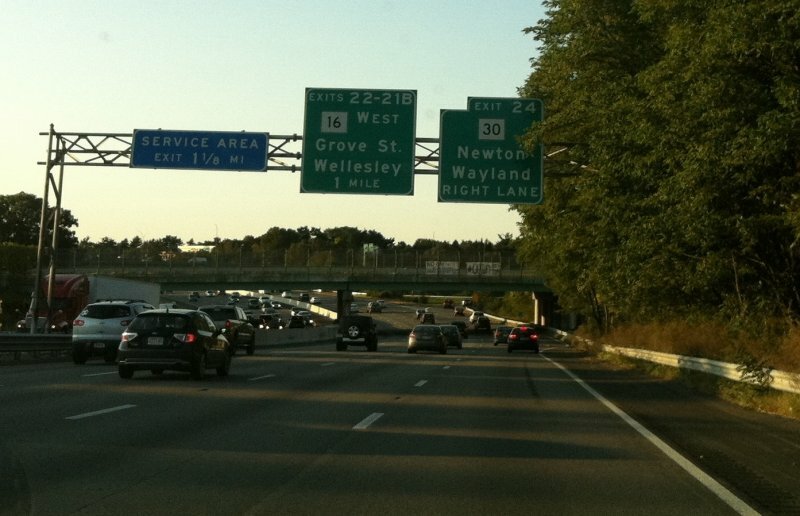 At 7AM Thursday, October 6 2011 the Institute strung banners over a Boston highway with the same messages. 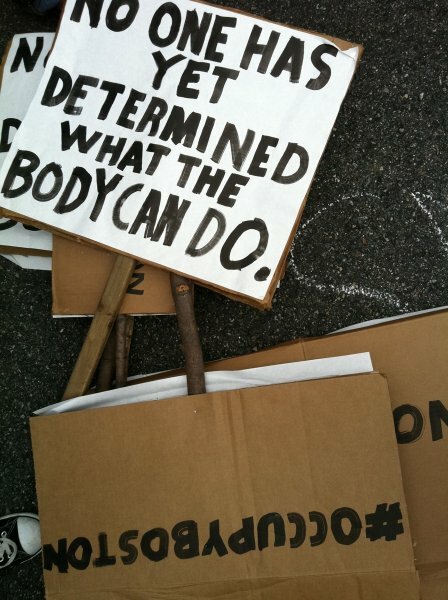 This was done as part of the multi-city Afghanistan War Tenth Anniversary Banners project.